You must be a member of the Malmoe DinnerNations Group to attend this activity. Would you like to join this group? Just a regular meet up, this time at Protected content . 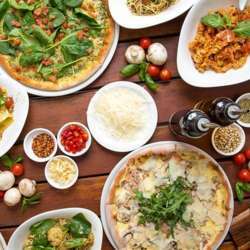 There are various pasta, risotto, pizza, salads and soups on the menu. Available both for vegetarians and those who like an addition next to the vegetarian dish.